Tyndell Stribbons, are stretchy elastic bands. 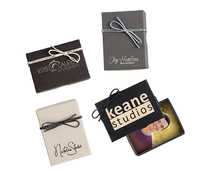 They are a great final touch as a closure to your photographic packaging. 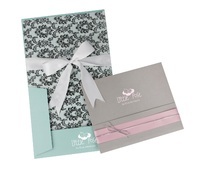 Tyndell Stribbons come in a wide variety of colors and sizes to accommodate multiple photo packaging sizes. They also have a pre-tied bow and are sold in bundles of 50. Product sold separately. Customers who purchased a Tyndell Stribbons also purchased these items.